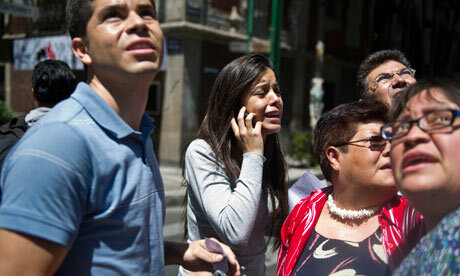 Large Earthquake in Mexico, 20 March 2012. Image Source: Ronaldo Schemidt/AFP/Getty Images via Guardian. Earthquakes are all the more threatening because our high tech tools cannot predict them (see this post on predicting the 'Big One' in California, and this site with a range of upcoming earthquake predictions). Nor can our tools confirm the intuitively evident links between disruptions in geomagnetism and plate tectonics. Mining operations can trigger earthquakes, but there is limited accountability of these industries regarding their activities. We have a wealth of information, but no answers. In the Knowledge-Based Society, mysteries are a source of supreme fear and explanation. Yesterday, a very large 7.6 earthquake struck southwest Mexico, with the epicentre 200 kilometres from Acapulco. Another large 6.2 earthquake struck Indonesia yesterday. 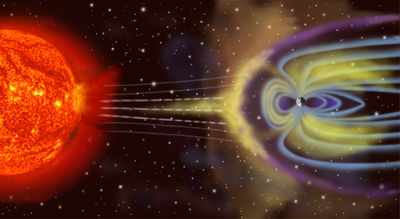 These events fall in line with the Old Wives' Tale that solar storms precede earthquakes. The over-availability of information on geoseismic events on the Web and the recent appearance of earthquakes where few had previously occurred is rattling the Internet. Already, there is a conspiracy theory afoot that the Mexican earthquake was somehow artificially induced or simulated by 'a' government or shadowy organization for unknown purposes. Was it an underground nuclear test? Mining? Fracking? The information circulates, becomes associated with other data, and reshapes reality. The X-Files-type irony of course, is that if there ever was anything to a conspiracy theory like this, no one would believe the conspiracy theorist, except other conspiracy theorists. Still, there is something strange going on. Verified earthquakes are occurring in non-earthquake zones. The latest weird reports have been filtering out of Clintonville, Wisconsin. Since Sunday 18 March, this small town has been startled by the sound of giant, shaking booms, coming from deep underground (reports: here, here, here and here). There is no known cause, but plenty of online speculation - message board users think this is a private company creating underground prepper bunkers (how far down into the earth does property ownership of land extend, anyway?). The booms are not consistent with earthquake activity. Town authorities have contacted geologists at the University of Wisconsin and a private engineering firm for help. Raffaele Bendandi was a self-taught astronomer born in 1893. 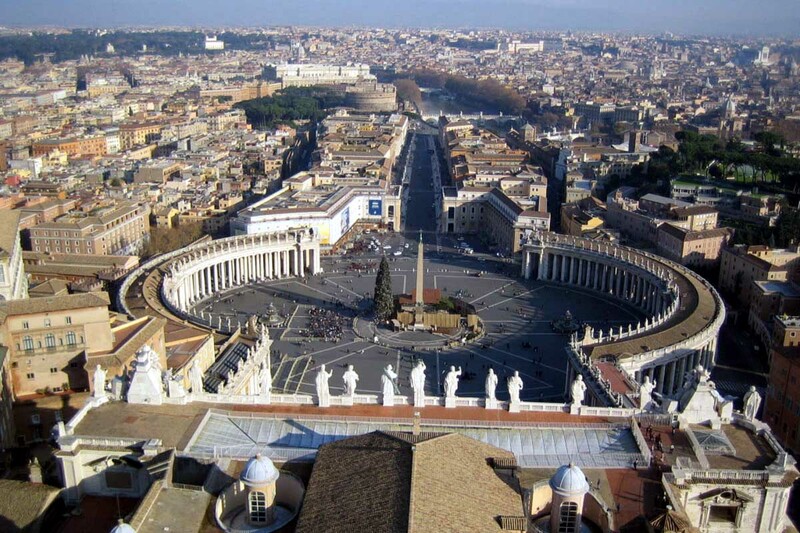 While still a teen he predicted, a year in advance, a devasting quake that hit Italy before the First World War. This became a life-long obsession for him. As a young soldier, while out walking by the seaside, he came up with the theory that the movements and gravitational forces of the planets could cause the earth’s crust to swell up and settle in the same way it affects the tides and waves. He created a system using the planets’ masses and trajectories to predict the time and location of earthquakes with quite a lot of success. His most famous prophecy is of the earthquake that hit the Marche in January 1924. To prove his theory, he had his prediction notarized in advance. Over the course of his life, he forecast many other earthquakes. Bendandi also believed the pull of the Sun and Moon could cause major earthquakes (for my post on theories that the 2011 'Super Moon' influenced the Japanese earthquake, go here). 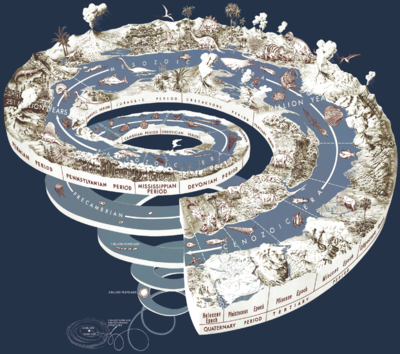 He additionally thought that planetary shifts and Sun spots could cause a change in the geo-magnetic and even geographic Poles, which would also engender natural disasters (for my post on theories that Pole shift caused the mass deaths of birds and fish earlier this year, go here). Because Bendandi had some reasonable successes with earthquake predictions (specifically the one from 13 January 1915 and another from 6 May 1976), he gained some notoreity. These theories led him to predict the existence of additional planets beyond the then-known solar system. He was knighted by Mussolini in 1927. 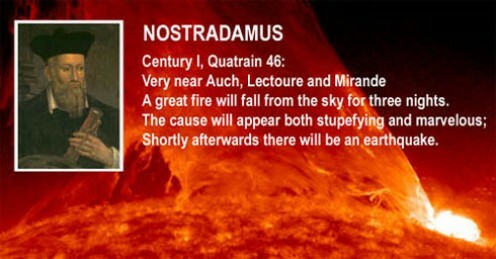 In short, Bendandi pretty much hit on all the 'usual suspects' when it comes to 2012 apocalyptic ideas: Pole shift; Planet X; massive natural disasters (storms, volcanoes and earthquakes, all arising from the assumed relationship between the Earth and her immediate cosmos); class X sun spots. The Repubblica reports (Hat tip: Armageddon Online) that people are taking the so-called Bendandania seriously and are demanding days off from work and taking their children out of school so that they can avoid the city on this date. Go here and here for other reports on people now fleeing Rome. Caption for the above video: Terje Sorgjerd recently captured this ethereal time-lapse footage of the northern lights. Says Sorgjerd,"I spent a week capturing one of the biggest aurora borealis shows in recent years. Shot in and around Kirkenes and Pas National Park bordering Russia, at 70 degree north and 30 degrees east. Temperatures around -25 Celsius." I09 is carrying the best time lapse video I've ever seen that shows the aurora borealis in all its splendour. 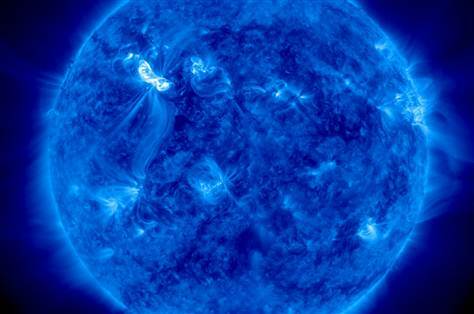 This is the beautiful side to the huge explosions on the Sun that have recently occurred. For my other time lapse video posts, go here, here, here and here. Click here for all my posts on astronomy. Reuters is reporting on a July 7 article in Nature about palaeontological findings that early humans settled Britain 800,000 years ago, at least 100,000 years earlier than originally thought. 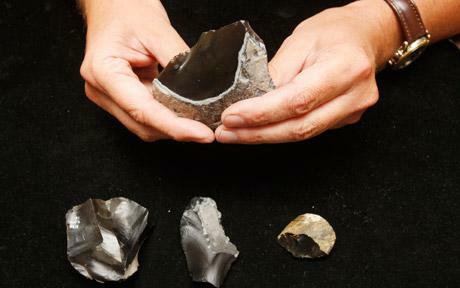 Artifacts found by palaeontologists from the British Museum include "78 knapped flint artefacts that the research team think were used by hunter-gatherers to pierce and cut meat or wood" (Parfitt, S. A. et al. Nature 466, 229-233 (2010)). There is a film about the dig in Happisburgh, East Anglia here. Scientists at the Natural History Museum have been X-raying the flint tools found at the site to establish that they are human-made. For the first time in this field, they are using computed tomography to analyze stone tools and produce 3-D computer models of each artifact. At the site, palaeontologists are also finding fossilized hyena droppings, mammoth teeth, jawbones of semi-aquatic rodents, and almost-million-year-old pine cones that point toward these Stone Age Britons surviving winters in coniferous forests as cold as present-day Scandinavia. But what really caught my eye was the Reuters passage: "The ancient human populations were small, made up of a few hundreds, or possibly thousands, and would either be driven out or severely reduced due to the cold climate, only to repopulate approximately every 100,000 years, the scientists said." This means that "Britain has been subject to at least nine distinct human colonisations in history."